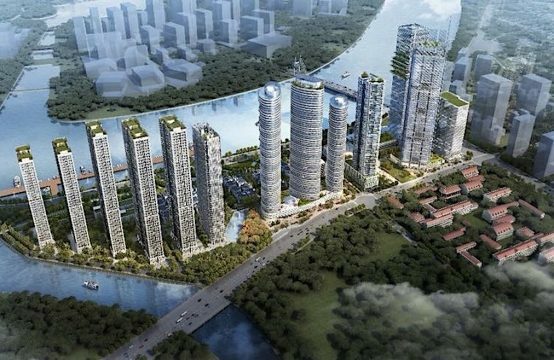 Having been in the market for some time and making property real estate gateway Saigon wave up, Project Victoria Village District 2 was officially named on the map of Ho Chi Minh City with clear title. Investors have announced the exact time to open some products in the first phase. If you are interested in investing with Victoria Village Project District 2 or are really in need of a permanent housing, read the information below. We not only provide accurate opening times, we also help you update the approximate price of the product at Victoria Village Project District 2 and have a useful review. When will the Victoria Village Project District 2 officially open for sale? 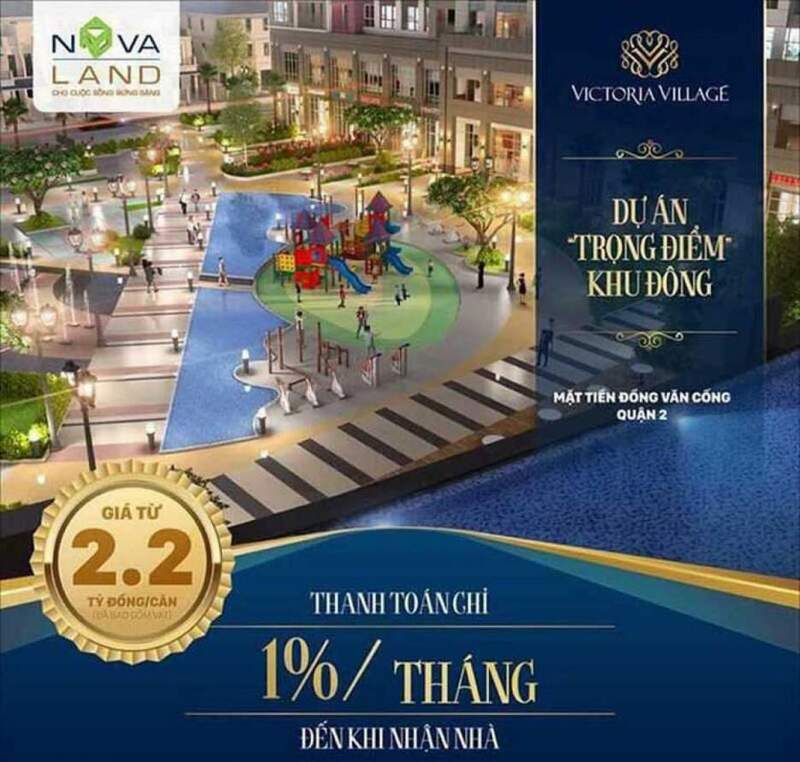 Victoria Village is a “newcomer” invested by Novaland Group in 2017 in the exciting area of real estate in Saigon, which is the gateway to District 2. 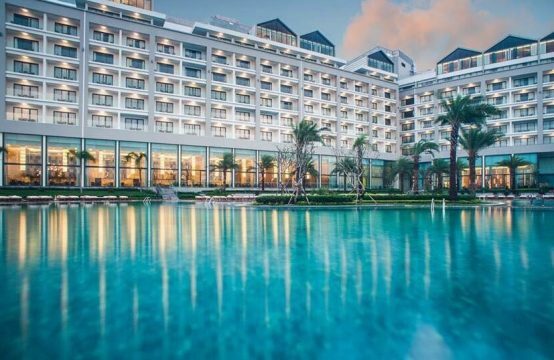 With a total area of 4.27 hectares at the intersection of 4 routes, Victoria Village District 2 project is highly appreciated and received the attention from many customers. Compared to the District 2 apartment projects, the Victoria Village apartment project in District 2 is located in a good area for feng shui, good for transportation and commercial. In terms of utilities, the project almost fulfills all the living needs of the residents, and more importantly, enjoy the convenience of exteriors. 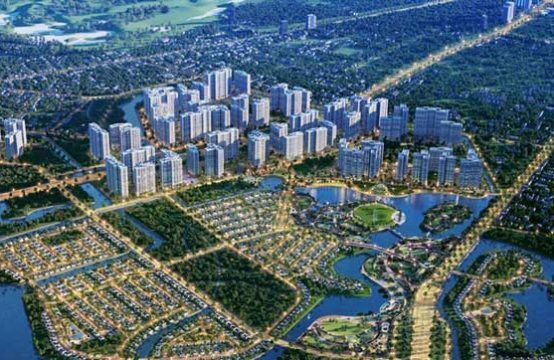 As for the real estate products, as mentioned above, Victoria Village District 2 possesses many types of multifunctional housing for all types of customers, suitable to the financial condition of each Vietnamese individual. 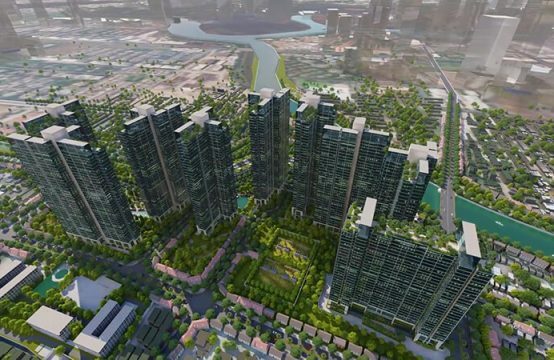 Currently, the project has been announced by the Novaland Group on the open time. Specifically, the first phase of the block sale of the Victoria Village Project District 2 is expected to fall on April 8, 2017. As such, customers are now able to contact the owner to order products with preferences and personal conditions. Note, in the first phase only apartment blocks are open for sale, the town houses and villas are still not officially marketed. It is expected that the second phase of these items will be sold by Novaland. While the flat, when the sale of the next tranche then the price may completely increase by 3-5%, depending on the product value of actual time. How much does the high-end Apartment at Victoria Village District 2 cost? The opening day of the sale has officially taken place, but many customers still hesitate to contact the purchase order not know the exact price. – With 1 bedroom apartment, the price will fall within the range from USD $ 95,450 to USD $ 104,500. – Two-bedroom apartment priced at USD $ 113,600 to USD $ 140.900. This price is inclusive of VAT and will fluctuate depending on the area you choose and the volatility of the real estate market over time. However, in general with interior design, with the location, and with outstanding utility, this price is not quite high compared to what Victoria Village District 2 owns. Even if compared with many projects with the same segment, the Victoria Village District 2 is still more appreciated for its competitive price. Want to buy the cheapest apartment, you should contact as soon as possible. Buy early, you will be able to choose a beautiful location, and enjoy many attractive incentives from investors in the first sale. 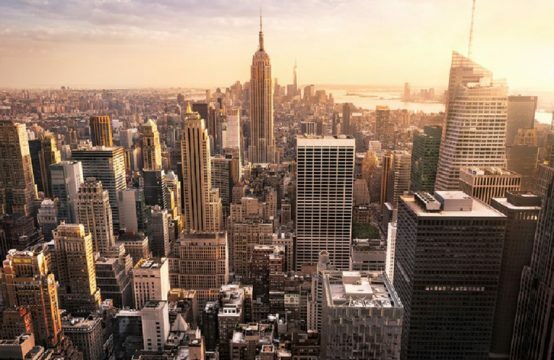 And above all, after purchasing the product you will start enjoying the benefits that will be generated directly from your apartment in the future. Currently, the investor is working with a bank guarantee to help customers with financial difficulties can easily buy apartments in Victoria Village District 2. With a loan of up to 70% of the total value of the product and attractive interest rates at a minimum, you will be solving your worries when approaching Victoria Village. Any questions regarding the project, please contact us in the way that you feel most convenient.